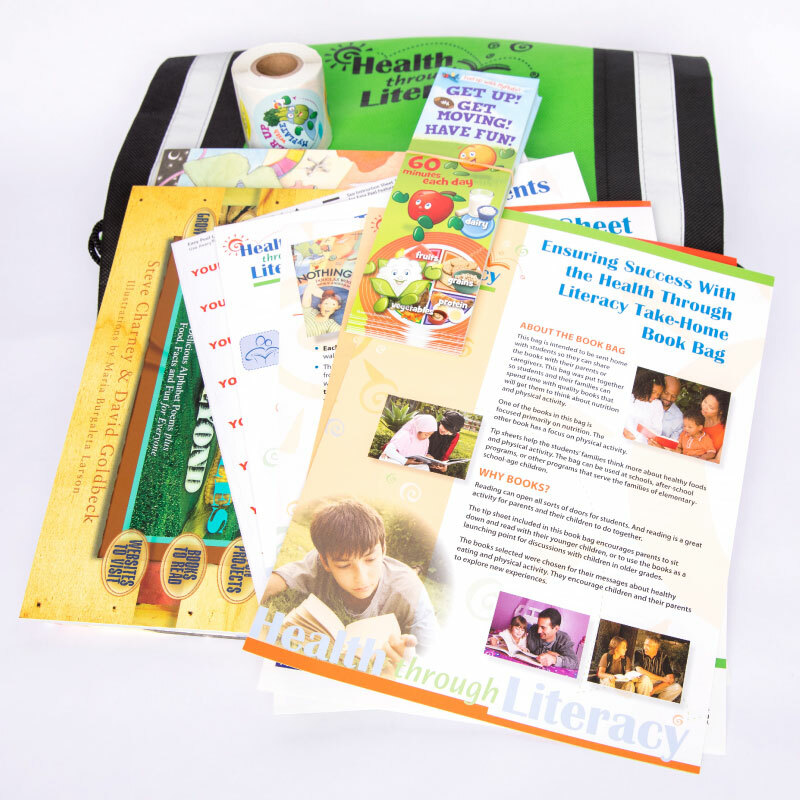 The Health Through LiteracyTM Take Home Book Set promotes family reading time with healthy messages. 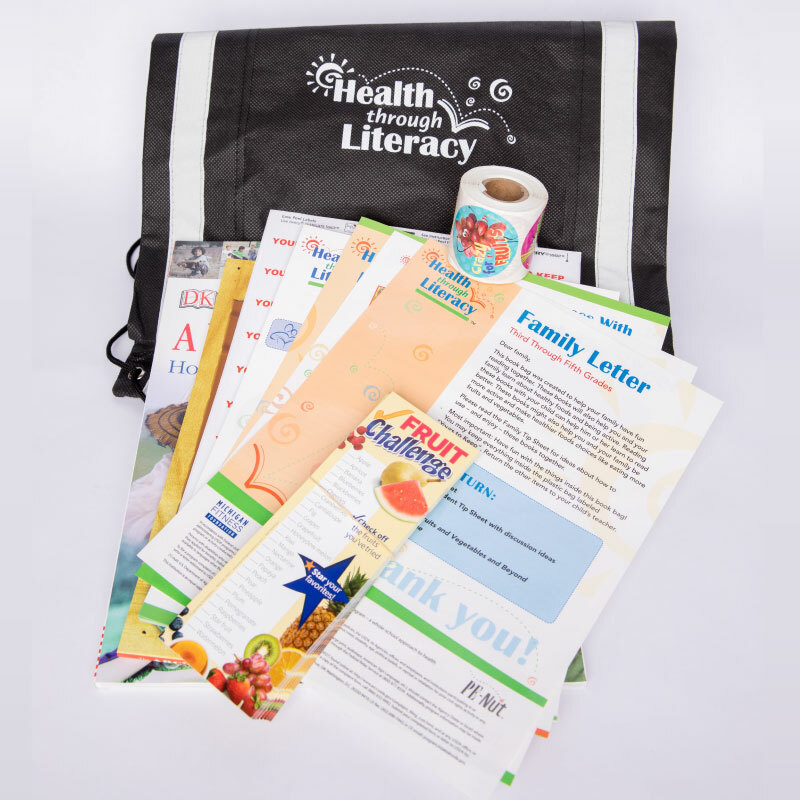 School children can take turns taking home this backpack-style bag with books that promote healthy eating and physical activity. To enhance the connection between home and school, a parent tip sheet offers suggestions about reading with children, healthy eating, and ideas for family physical activity.